1979 – Steve Jobs and other Apple engineers visit Xerox PARC. Though Pirates of Silicon Valley dramatizes the events, Apple had already been working on developing a GUI, such as the Macintosh and Lisa projects, before the visit. ^ Griffin, Ben; Baston, Laurel. "Interfaces" (Presentation): 5. Archived from the original on 14 July 2014. Retrieved 7 June 2014. The user interface of a mechanical system, a vehicle or an industrial installation is sometimes referred to as the human-machine interface (HMI). ^ a b c d "User Interface Design and Ergonomics" (PDF). Course Cit 811. NATIONAL OPEN UNIVERSITY OF NIGERIA: SCHOOL OF SCIENCE AND TECHNOLOGY: 19. Archived (PDF) from the original on 14 July 2014. Retrieved 7 June 2014. In practice, the abbreviation MMI is still frequently used although some may claim that MMI stands for something different now. ^ Cipriani, Christian; Segil, Jacob; Birdwell, Jay; Weir, Richard (2014). "Dexterous control of a prosthetic hand using fine-wire intramuscular electrodes in targeted extrinsic muscles". IEEE Transactions on Neural Systems and Rehabilitation Engineering. 22 (4): 1–1. doi:10.1109/TNSRE.2014.2301234. ISSN 1534-4320. PMC 4501393. PMID 24760929. Archived from the original on 2014-07-14. Neural co-activations are present that in turn generate significant EMG levels and hence unintended movements in the case of the present human machine interface (HMI). ^ Citi, Luca (2009). "Development of a neural interface for the control of a robotic hand" (PDF). Scuola Superiore Sant'Anna, Pisa, Italy: IMT Institute for Advanced Studies Lucca: 5. Retrieved 7 June 2014. ^ Jordan, Joel. "Gaze Direction Analysis for the Investigation of Presence in Immersive Virtual Environments" (Thesis submitted for the degree of Doctor of Philosophy). University of London: Department of Computer Science: 5. Archived (PDF) from the original on 14 July 2014. Retrieved 7 June 2014. The aim of this thesis is to investigate the idea that the direction of gaze may be used as a device to detect a sense-of-presence in Immersive Virtual Environments (IVE) in some contexts. ^ Ravi (August 2009). "Introduction of HMI". Archived from the original on 14 July 2014. Retrieved 7 June 2014. In some circumstance computers might observe the user, and react according to their actions without specific commands. A means of tracking parts of the body is required, and sensors noting the position of the head, direction of gaze and so on have been used experimentally. This is particularly relevant to immersive interfaces. ^ "HMI Guide". Archived from the original on 2014-06-20. ^ Richard, Stéphane. "Text User Interface Development Series Part One - T.U.I. Basics". Archived from the original on 16 November 2014. Retrieved 13 June 2014. ^ a b c McCown, Frank. "History of the Graphical User Interface (GUI)". Harding University. Archived from the original on 2014-11-08. 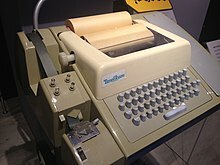 ^ "The Xerox PARC Visit". web.stanford.edu. Retrieved 2019-02-08. ^ "apple-history.com / Graphical User Interface (GUI)". apple-history.com. Retrieved 2019-02-08. ^ Raymond, Eric Steven (2003). "11". The Art of Unix Programming. Thyrsus Enterprises. Archived from the original on 20 October 2014. Retrieved 13 June 2014. ^ C. A. D'H Gough; R. Green; M. Billinghurst. "Accounting for User Familiarity in User Interfaces" (PDF). Retrieved 13 June 2014. ^ Sweet, David (October 2001). "9 - Constructing A Responsive User Interface". KDE 2.0 Development. Sams Publishing. Archived from the original on 23 September 2013. Retrieved 13 June 2014. ^ John W. Satzinger; Lorne Olfman (March 1998). "User interface consistency across end-user applications: the effects on mental models". Journal of Management Information Systems. Managing virtual workplaces and teleworking with information technology. Armonk, NY. 14 (4): 167–193. doi:10.1080/07421222.1998.11518190. ^ a b Raskin, Jef (2000). 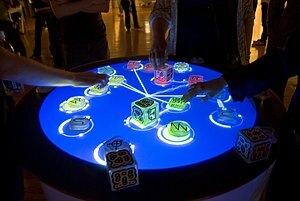 The human interface : new directions for designing interactive systems (1. printing. ed.). Reading, Mass. [u.a. ]: Addison Wesley. ISBN 0-201-37937-6. ^ Udell, John (9 May 2003). "Interfaces are habit-forming". Infoworld. Archived from the original on 4 April 2017. Retrieved 3 April 2017. ^ Errett, Joshua. "As app fatigue sets in, Toronto engineers move on to chatbots". CBC. CBC/Radio-Canada. Archived from the original on June 22, 2016. Retrieved July 4, 2016. ^ Gordana Lamb. "Improve Your UI Design Process with Object-Oriented Techniques" Archived 2013-08-14 at the Wayback Machine. Visual Basic Developer magazine. 2001. quote: "Table 1. Differences between the traditional application-oriented and object-oriented approaches to UI design." ^ Jakob Nielsen (April 1993). "Noncommand User Interfaces". Communications of the ACM. ACM Press. 36 (4): 83–99. doi:10.1145/255950.153582. Archived from the original on 2006-11-10. ^ Sharon, Taly, Henry Lieberman, and Ted Selker. "A zero-input interface for leveraging group experience in web browsing Archived 2017-09-08 at the Wayback Machine." Proceedings of the 8th international conference on Intelligent user interfaces. ACM, 2003. This page was last edited on 21 April 2019, at 10:16 (UTC).